The end of the year is that time in the U.S. when we start catching those nasty colds and the flu. If just the cold weather were the culprit, then Alaskans would have it the worst. But it’s not the cold or germs that necessarily make us susceptible to catching respiratory diseases. People in cold parts of the world are often known for their robustness and good health. Omitting allergies that can mimic symptoms of a cold or flu, as well as closed indoor environments that can concentrate germs, there is one important, yet, often ignored factor that we could take into account: try the end of the year holiday factor! It lurks so innocently in plain sight! Halloween and its aftermath of sweetoothism runs into Thanksgiving and the sugary delights of pies, candies, punch, cookies, cakes, ice cream, egg nog, soda, rum, whiskey and beer (alcohol is a cousin to sugar). And right around the corner comes Christmas for another round of sweet treats. Not to forget New Year’s celebrations and parties!! More alcohol and more goodies! Sounds innoncent enough, right? WRONG!! Sugar simply runs down our immunity! The Curse of Too Much of a Good Thing! Sugar and spice is not so nice when our over-eating of sweets during the holidays lowers our immunity to the miserable common cold – and every other disease as well. Call it the “Curse of Too Much of a Good Thing!” Indeed, a not too recognized fact is that sugar depresses the immune system! It has been calculated that 13 teaspoons (approximately 57 grams) of consumed sugar reduces our immune system’s ability to fight disease by up to 30%. As it is, the average person may eat more than double that amount of sugar per day. So, we may literally be immune deficient from the start! During the holidays, that 30%+ reduced immune system’s fighting capacity can take a complete nose dive, starting with Halloween, when candy is the best thing in town – forget about broccoli and spinach! The sweet tooth goes on a feeding frenzy for at least the whole week, and maybe beyond, once the goodies get the kids (and adults, too) on a roll, which can last up through the New Year. A 1973 Loma Linda University Study of blood sugar versus the immune system found that the killer cells known as phagocytes were harmed by sugar; these white blood cells ate less bacteria and other foreign invaders in response to the amount of sugar in the blood. The more bacteria and viruses the phagocytes can engulf, the stronger the immune system becomes and the less likely we become ill. When the immune system is harmed or weakened, we become subject to disease, like the common cold. What to do about it? Sugar is the culprit in more ways than one according to Nancy Appleton, in her eye-opening book, “Lick the Sugar Habit.” Obviously, careful attention to our diet and lifestyle is supremely important. Cutting out or cutting back our sugar intake is another. And, of course, there is GARLIC. Garlic is the supreme immune system enhancer. It revs up the phagocyte activity and strengthens the immune system as a whole. It also kills a whole host of bacteria and viruses on contact, including antibiotic resistant super-bugs like streptococcus and staphylococcus. Unlike with conventional antibiotics, bacteria and viruses cannot mutate to form stronger versions of themselves against garlic! Garlic is a permanent antibiotic to which a super-bug cannot become resistant! So, when a cold or the flu comes knocking, prepare your immune system for the task of knocking it out! Aspirin and acetaminophen may reduce any pain and suppress some symptoms, but, unfortunately can affect the immune system negatively. 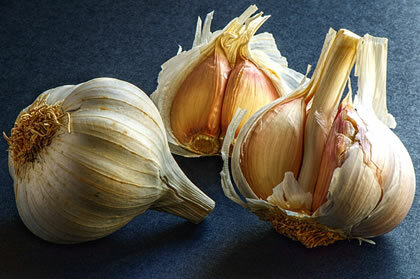 Garlic, on the other hand boosts the work of the immune system and enhances it. Get ready for the Holiday Season! Be mindful of your health and Immunity! Eat Garlic! Stay Healthy!! I am over 50 and had suffered with 3-4 colds a year like everyone else. A few years back I began suffering from chronic fatigue after some very negative life events coupled with a prostate infection. I was very weak and could hardly walk down the road to fetch a paper. After 6 months or so, and after trying numerous natural remedies, I tried raw garlic. After a day or two I was running around looking for work to do, I was so full of energy after so long. And since then (2 years) I have only had one cold, and that was when I’d left off eating garlic for a couple of weeks while travelling abroad. Note, the garlic perles didn’t seem to help, only raw garlic, maybe 4-5 cloves with 2 of my daily meals. The time I did catch a cold, I started up the garlic after a day or two, but it seemed to make no difference, by then it was too late and the cold turned into the usual stinker. I conclude that garlic has a strong preventative effect on colds and energising properties. judging by the comments garlic is a life saver, and anyone can afford it.